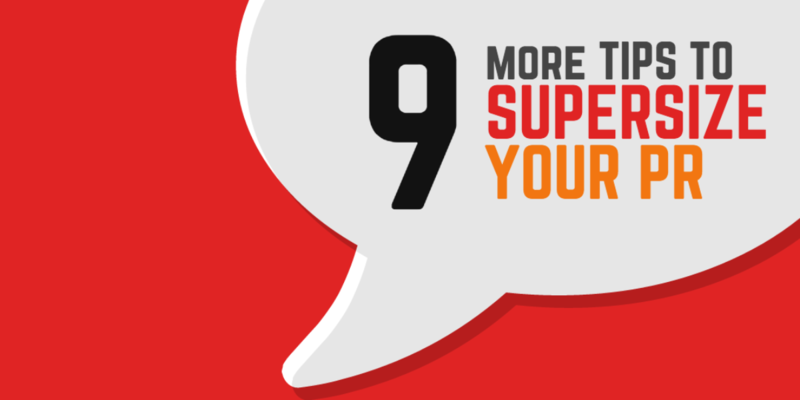 Last week, I showed you 8 ways to get more leverage from your publicity. 1. Include the article in your new book proposals. Acquisition editors love to know you are good at getting publicity. That gives them confidence that you will actually be able to market and sell your book so they make money. 2. Include the article in your sales kit and speaker packet. It gives you credibility and makes you stand out from others who don’t have publicity. It places you at the same level as your competitors who are media hounds. 3. In your bio, include the fact you were quoted in these publications or TV shows. The more the merrier. Don’t skimp. Your competitors don’t. 4. Put the PR in your introduction when you give a speech. However, limit it to the top one or two. Any more than that will bore people to death. You want people to “wow,” not “yawn.” When my introducer tells people I was quoted in USA TODAY, I go from being a nobody to being a celebrity. Well, almost. 5. Don’t forget YouTube. Post the video of your interview on YouTube. If you can’t get the actual video, link to the station’s copy. 6. Read your article in front of the camera on your computer and post it to YouTube, as well as your website. 7. Get permissions for reprints. You don’t need permission to link to a website. 8. If the media calls you an “expert” let everyone know. Typically reporters want to make you look good so their stories look more credible. The LA Times called me “an online marketing expert.” The SF Chronicle called me an “email marketing expert.” Who am I to argue? It’s in the newspaper. It must be true. Let everyone know.